This name comes from the Old Testament and it had belonged to both males and females. It means “Who is like Yahweh?” in Hebrew (more commonly “Who is like God?”) I personally like it for girls and boys but I had to do a masculine name of the day since my last name of the day was Sophie (feminine)… I prefer it on males anyways. I’d personally pronounce it Mik-eye-a, (eye being pronounced like the letter i or your eye(s).. easy enough.) but I also really like the pronunciation my-KAY-a. I’m sure this is often misspelled and mispronounced, but I still like it. Since I had mentioned the Duggar’s in my last post, Michelle & Jim Bob have a daughter named Jordyn-Grace Makiya.. I would only think Makiya is a form of Micaiah. Micaiah isn’t ranked in the SSA list and hasn’t been in 131 years. I didn’t look back beyond that because well.. It’s not popular let’s just put it that way! Do I love it? YES. After checking babynames.com they have only listed it as masculine, though they list named that some would only count as masculine as unisex. (ex: Reese — see my name of the day on Rhys for more info) They also have a picture of a baby boy with this name in the “Faces of Micaiah” section. I also think it’d make a wonderful middle name. 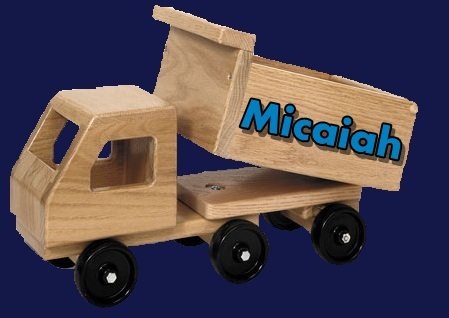 2 Responses to "Name of the day: Micaiah"
Luca is a legitimate Hungarian girls name, and it is pronounced differently to the boys name.